On that same day, the building industry again struck by another arson attack. 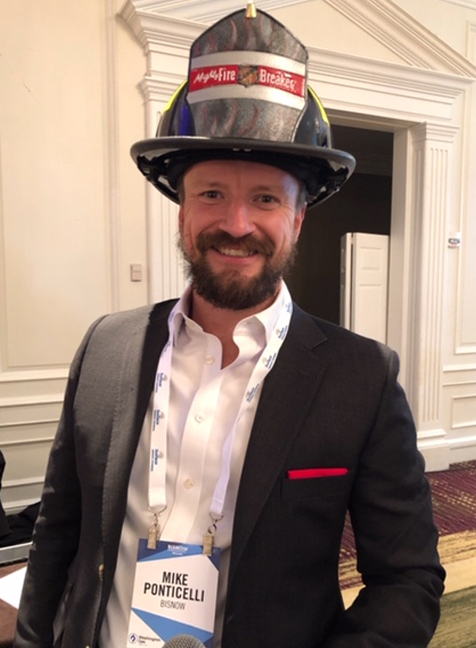 The BisNow host walked around all day with a real fireman’s helmet with M Fire logo and tagline “ We Tame The Flames.” After his introduction of M Fire, they played our fire demo video on the jumbo screen. 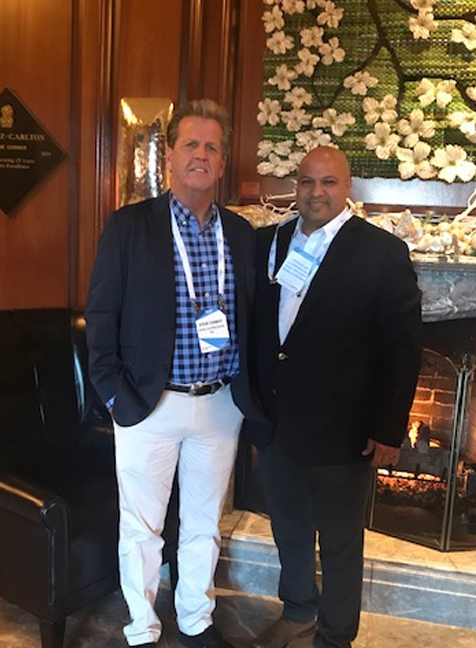 M Fires management followed up on this BisNow event with a lunch meeting with Michael and his team and had an open discussion to join in on more of events around the country. For us, this BisNow audience is even better than the supply chain to introduce the most cost-effective fire defense the wood-framed industry has ever seen. M Fire is all about defending our sustainable renewable approach for housing with lumber to help the investors lower their risk of set back loss and revenue that fires create. All segments of this high-density affordable housing industry seem to all be coming together for us now at the same time since our industry has lost 26 projects to suspicious arson type fire in 2018. The general contractors need to cover themselves from liability after two workers died in a job site fire in Denver. Investors /owners need to know how the insurance industry is waking up to the fact that this new clean fire chemistry can lower the risk of loss and possibly reduce the premiums. This year Avalon Bay Communities won the IRMI Innovation Award for e Fire Elimination Plan that is mainly supported by M Fires Mighty Fire Breaker Job Site Spray. The Building Industry is getting attacked by arsons and a radical labor shortage but, it will react with greater American Innovation than ever before says Steve Conboy. M-Fire management met with the Bisnow team the following day for a lunch meeting. We had an open discussion with Michael and his team about an oportunity to join in on more of their future events around the country. As M-Fire scales all across the USA defending our national builders from arson attacks, we continue to proudly hire our highly trained American Veterans to support our quality assurance.